Van Avery Prep opens its doors at 6:30 a.m. and closes promptly at 5:45 p.m. The majority of our clubs and sports take place before or after school. 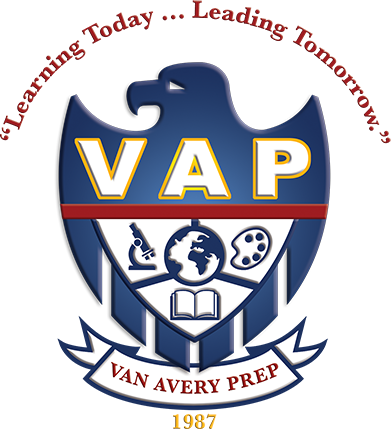 For nearly 30 years Van Avery Prep has been preparing students to be leaders in their community and their world. We nurture each student as they strive to reach their fullest potential. 6:30 a.m. – 5:45 p.m.
8:45 a.m. – 3:00 p.m.
7:45 a.m. – 3:00 p.m.
Van Avery Prep opens at 6:30 a.m. and closes promptly at 5:45 p.m. for students who are registered for Extended Day.